Last September my Dad and I rode our motorycles from my place in Whistler to my parents’ house in Cornwall, Ontario. (My mom was there, too, driving my car.) It was a huge ride, totalling 16 days and 7,000 km (about 4,400 miles for my imperial friends.) We took the scenic route and back roads as much as possible. We rode through mountains, prairies, mud and gravel. For weather, we had rain storms, hail, and Arctic fronts from the north. Tornadoes missed us by 30km. On the road, we dodged pot holes, dogs, bears, deer, mountain goats, and foxes alike. We endured multiple mechanicals. It was *epic*. 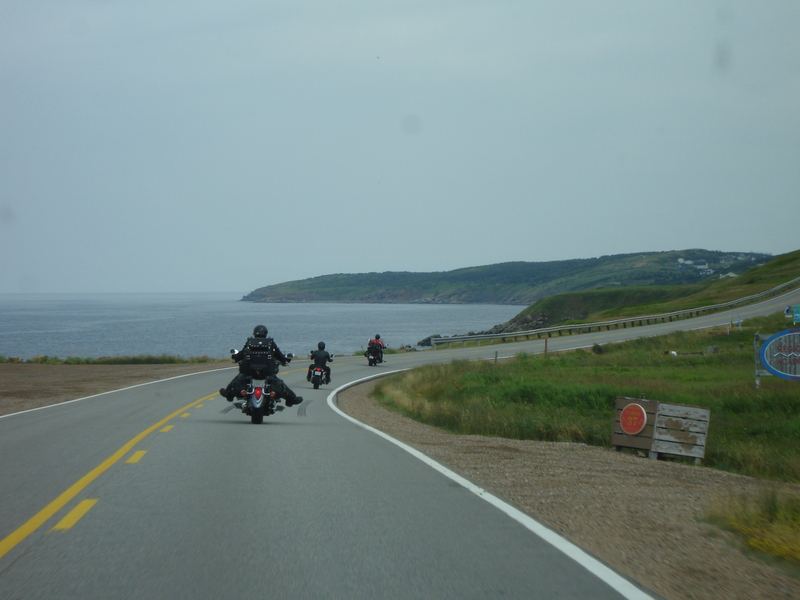 After that, I would often say that I had ridden a motorcycle across Canada. But, this was not entirely true. I had ridden across most of it, but not all. The roads of Eastern Canada had not felt the rubber of my tires. Of note in Newfoundland is George Street in St. John’s. This is the city’s big party promenade. My brother and I had many good times making laps of this street. 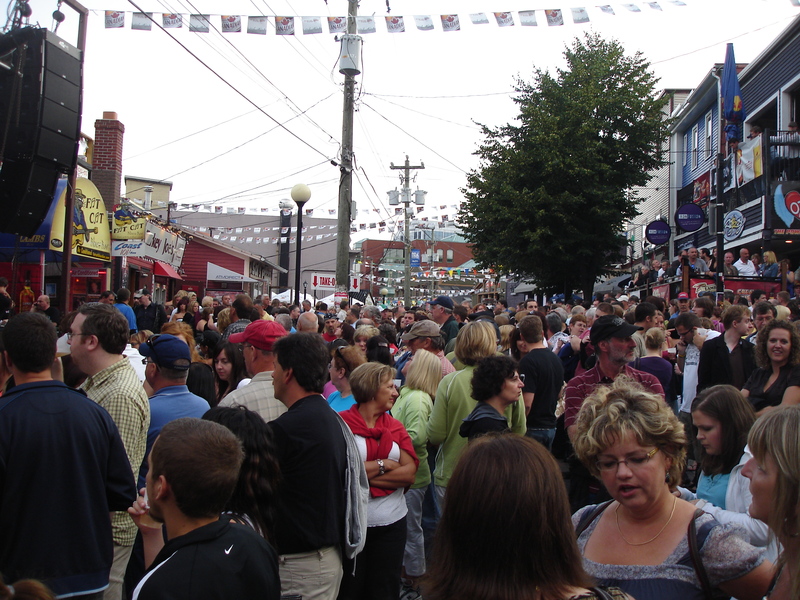 As often happens in my travels, I got very lucky with repect to my timing: Unbeknownst to us, we arrived in St. John’s for the George Street Festival! For three nights this street goes nuts — it is rammed full of people partying and drinking on the street. I love this stuff. Not only that, but Blue Rodeo (a fine Canadian band) was playing one of the nights. My family and I were there and it was killer. At the end, they offered to rename the street after us; we graciously declined. Some mild chaos on George Street. This is nothing, you should have seen it later that night. 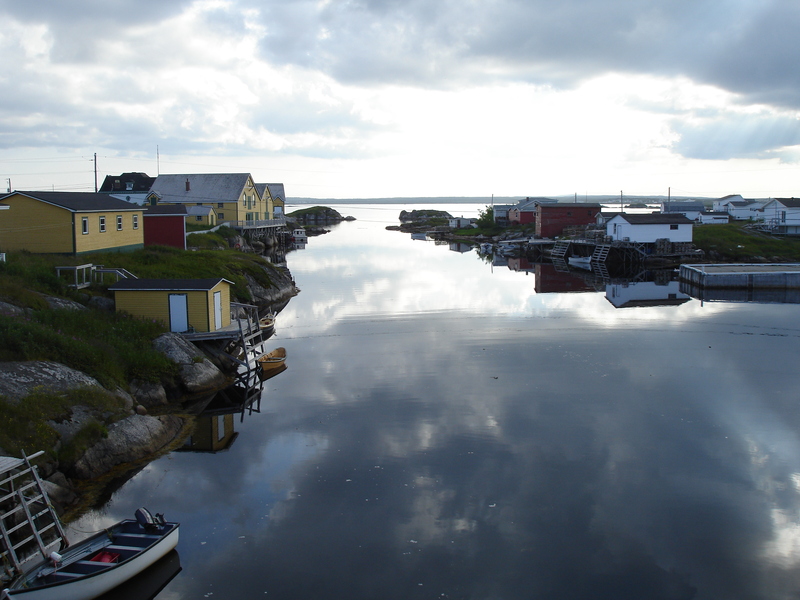 Newfoundland is home to the beautiful Gros Morne National Park. We spent 3 days there. The highest peak there is Gros Morne Mountain at 806m. I went to climb it. I’ve noticed that motorcyclists don’t hike, and hikers don’t ride. It seems these two activities just don’t mix. 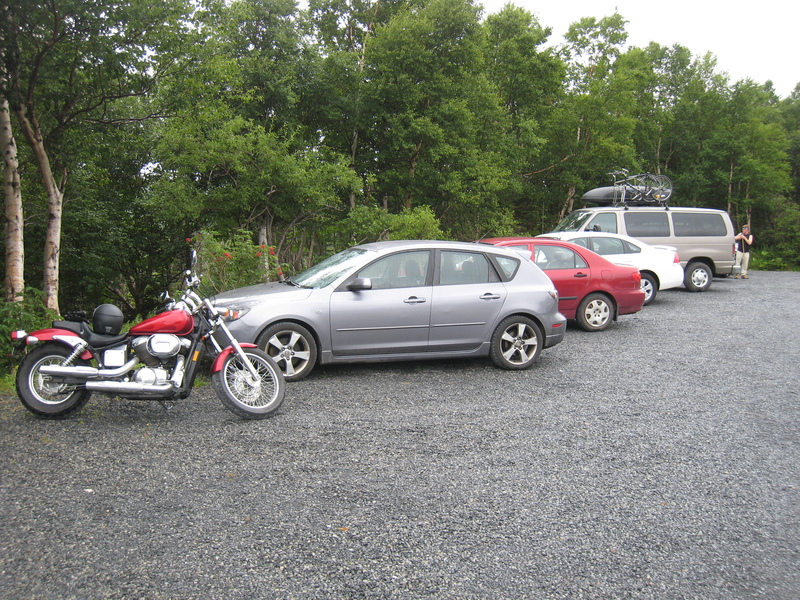 In all my years of hiking, I have never seen a motorcycle at a trail parking lot. Judging by the looks of the hikers in the parking lot when I pulled in on my bike, neither had they. I ignored their stares, parked my bike, climbed the mountain, bagged the peak, and rode back to camp. Bam. I thought this was a reasonable request. He turned his eyes and ears towards me, looked me over for about 3 seconds… then went back to mowing down on some plants. He proceeded to ignore me, despite my pleas. Apparently I was no threat. In the end, I had to Indiana-Jones my way through the bush and detour around him. Good hiking, though. I realized I need to re-read my own blog while I’m at home. I started telling a friend a story when she said she already knew it — she had read it on my blog. Haha, I have forgotten which stories I have put on this blog. Anyway, I’m at my parents’ house in Cornwall. It’s good to be home. Today I did some stuff that a lot of normal people do, like mow the lawn. Good times. Also, I can’t tell you how amazing it is to have access to a fridge and cupboard full of food! (My parents tolerate me pilfering, thanks!) This is a luxury I have not had in almost a year. 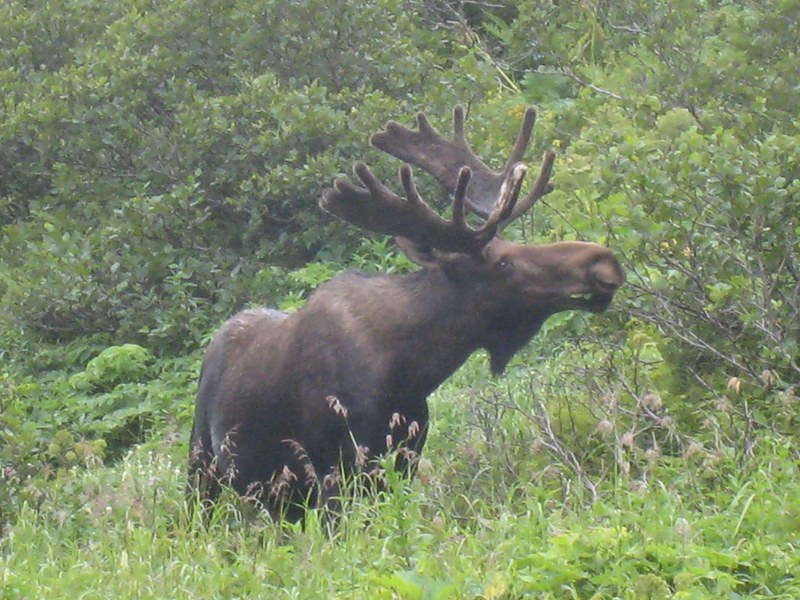 Welcome back to Canada buddy! go out in the backyard and break a goalie stick over the crossbar to make your presence official!